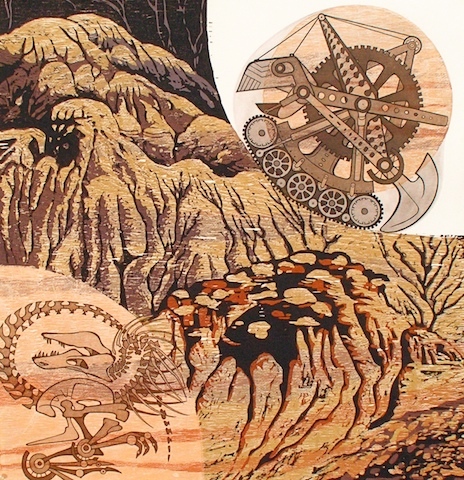 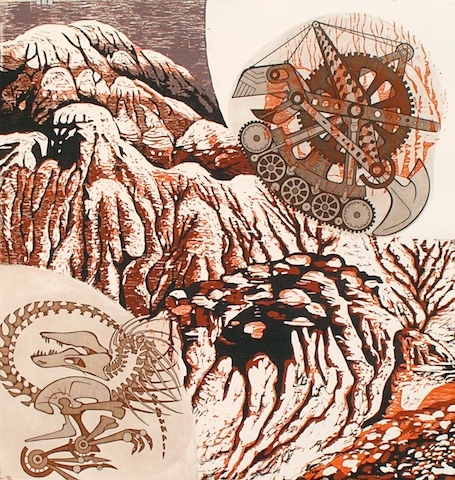 The landscape is created through use of the organic woodcut. 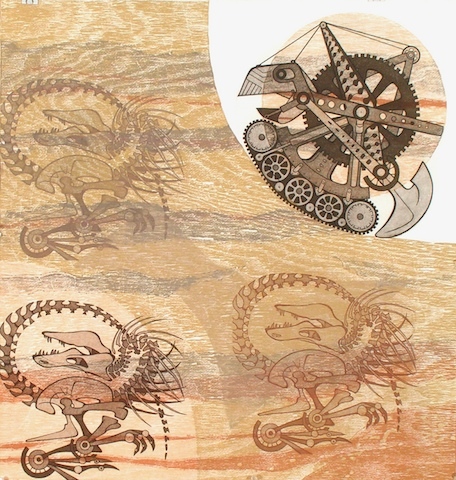 The more industrial quality of etching in zinc is chosen to depict the dinosaur and the digging machine. 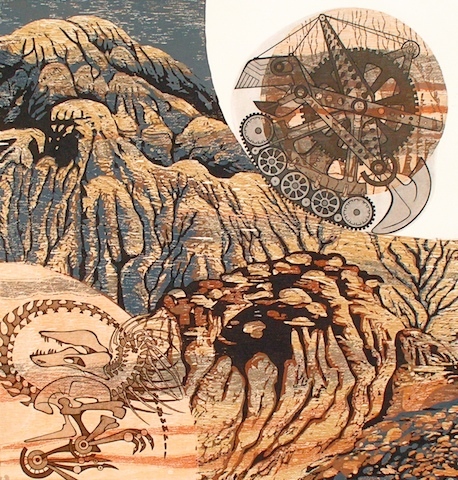 The machine-like creature digs into the landscape in which a fossil is embedded, and we can ask ourselves if use of fossil fuels in our mechanized society is heading us in the same direction evolution led the dinosaurs.